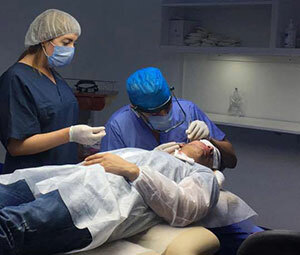 Baldness is a fall of hair without generally pushes back genetic cause, to cure it one needs a medical care to stop the fall and surgical treatment to fill the alopéciques zones. The Clerc's Office of hair uses micro grafts taken on the head of the patient what removes the phenomenon of rejection of the grafts. 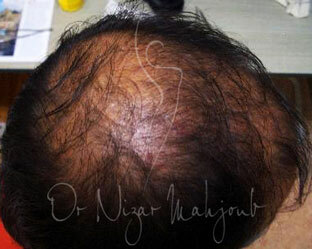 the novel methods of surgery allow a homogeneous establishment of micro the grafts giving a natural appearance to the whole of hair. The reimplanted hair is taken on the back or side crown of hair. Micro the taken grafts are immediately reimplanted on the glabrous zone. Very often a Clerc's Office of hair proceeds on two meetings even more. 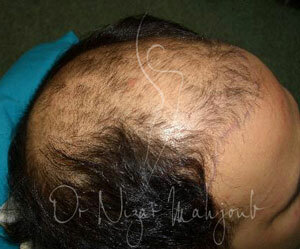 The number of grafts necessary depends on wide on baldness and can vary from 200 has more than 2000 micro grafts, knowing that it is possible to establish approximately 500 per meeting of them. The intervention proceeds under local anaesthesia and lasts on average 3 hours. The hospitalization is of a few hours. 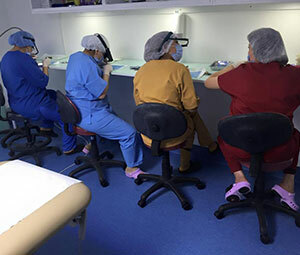 The results depend mainly on the surface of baldness, because the wider baldness is and the less possible it is to take of micro grafts in a discrete way. The hair all to establish falls during the days which follow the intervention. This phenomenon is normal and pushes back it new hair starts a few weeks later. 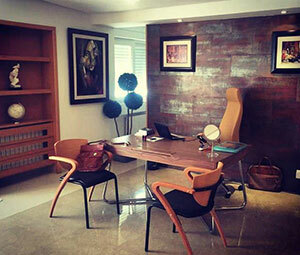 Oedemas and bruises can appear following the Clerc's Office, but reabsorb the following days. An infection of cooking hair is exceptional, its treatment will consist of the antibiotic catch. 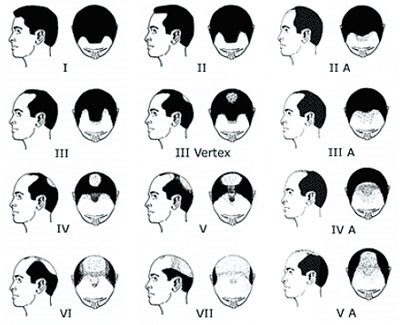 Certain grafts do not take roots, that can concern to the maximum 10% of micro the grafts and those could easily be replaced at the time of the following meeting. pour homme d'après la classification de NORWOOD HAMILTON.